Tradition is a vital element in Filipino design. Our sense of art as Filipinos is somehow influenced by what we have experienced and seen, stories that are told from generation to generation and the ideas we get from cultural arts like dance, music, film making and the like. Tradition is, in fact, deeply engraved to the Filipino soul that its qualities can be seen substantially evident in local designs that are progressive and moderne. Most Filipino art today depicts stories of things of the past incorporated with the artist’s style - and for some, conformity to contemporary aesthetics. Ibarra’s Party Venues & Catering knows tradition well and has envisioned a place where every Filipino can enjoy its elegance and taste. We deliberately thought of combining it with great food and service, and one has the makings of a memorable gathering of family and friends. With this realization, just November of 2017, the company has unveiled Casa Ibarra, its grandest and largest events venue that ultimately embodies the Filipinos rich tradition and love for elegant gatherings. Located at the MOA Complex in Pasay City, Casa Ibarra brings everything great multiple generations of clients have come to expect from Ibarra’s. The venue’s interior design is unique through the use of different elements like wood, capiz, raffia fabric and Mindanao’s traditional T’nalak weave. These native materials can be found throughout the building’s design, accents of its Filipino identity. On the second floor is Sala de Amor, which boasts of six huge capiz chandeliers made of approximately 20,000 capiz shells each. Lighted onyx pillars hold up this grand ballroom fit for 350 guests. A grand stairway on the side lights up dramatically step by step as a debutante, or bride and groom, or birthday celebrant or special guest, make their entrance. The Alegria and Hermosa Function Rooms both can accommodate as much as 140 guests for each, or can be combined for a larger party on the ground floor. Like a sizable four-story Filipino house from the Spanish period, Casa Ibarra’s architecture stands out almost immediately in its rather business-looking location. The facade has a porte-cochere, where guests can be dropped off safe from the elements. 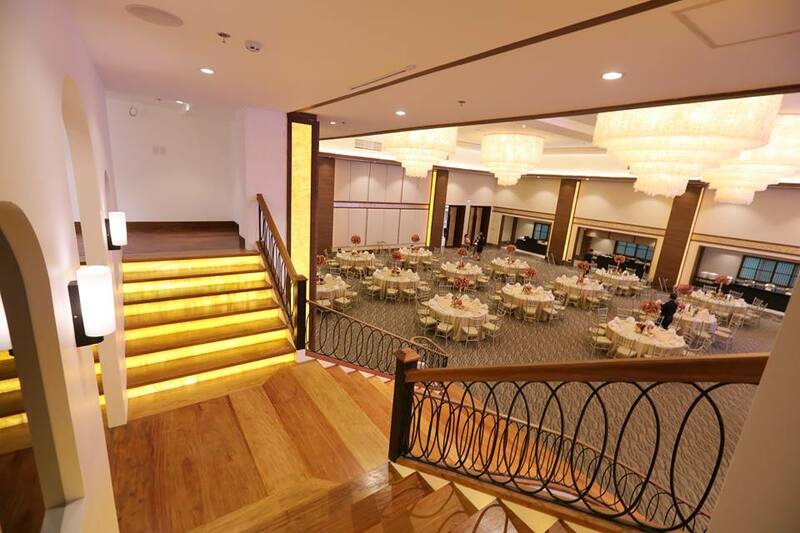 Its balcony can host more intimate gatherings, and can be set-up for a wedding ceremony with as much as 80 guests. At the threshold of being a one-stop shop for a wide range of wedding elements along with Casa Ibarra’s design and the exemplary quality of the services it offers, we as a company take pride in our claim of being one of the most sought-after brands in the venues and hospitality industry. Hence, to further strengthen our identity, Casa Ibarra just held its biggest event since its grand launch. This event was aimed to propel its name to greater heights and to help potential clients find the wedding elements that are best suited to their preferences - the Celebracion en Casa Ibarra! The Celebracion en Casa Ibarra or the Celebracion was a whole day event that showcased the glamour of both modern and traditional weddings through a Bridal Exhibit which includes a Grand Food Tasting and a Gala night that featured the exclusive launch of the internationally-celebrated bridal designer, Mr. Francis Libiran’s Mon Amour Collection. Over 26 of the country’s top notch wedding suppliers have participated in the event and 20 Mon Amour bridal gowns were displayed and ramped-up by international models on a grand runway. Surely, this event has lived up to its purpose and was successful in etching the “Ibarra’s” name to Filipino minds as the top choice of venues for holding weddings, debuts, christenings and other celebrations. Thus, creating the idea of Ibarra’s being the Filipinos’ Home for Celebrations. 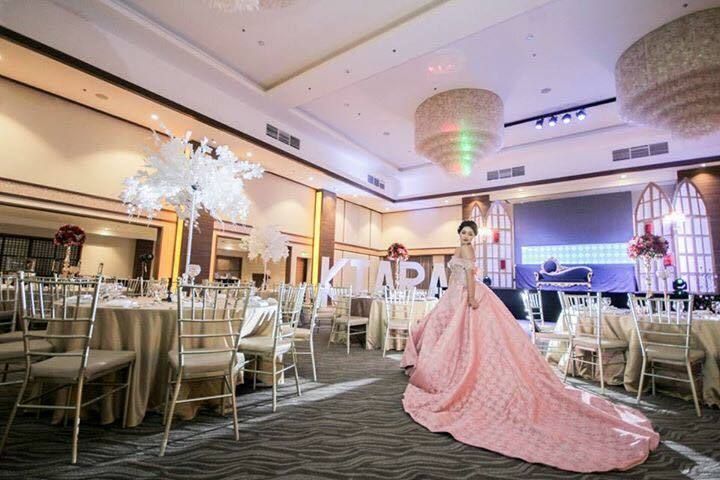 Potential clients can also choose from Four (4) other venues under Ibarra’s Party Venues and Catering Specialist namely: Ibarra’s Garden –Ermita, Manila, Plaza Ibarra – Timog Avenue, Quezon City, Bella Ibarra – Quezon Avenue, Quezon City and Villa Ibarra in Tagaytay. Partner with us today let’s make your celebrations en grande!